The Take-Two news release has a bunch of decent information including the name of the 2nd Headhunter Pack DLC for Borderlands 2. Going under the name "Wattle Gobbler" and releasing in November, it sounds to be another Holiday themed pack coming out in time for Thanksgiving. Once again, I am looking forward to more action on Pandora. 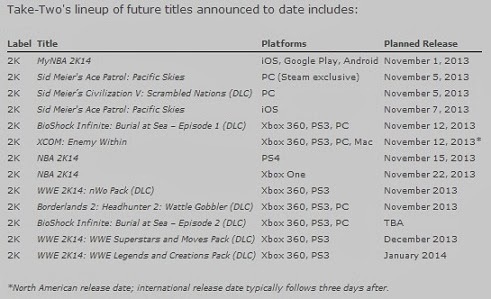 If I recall correctly there were supposed to be 3 coming out before the end of the year, and having what looks to be 2 themed releases, could we be expecting a Christmas themed Headhunter Pack in late December?